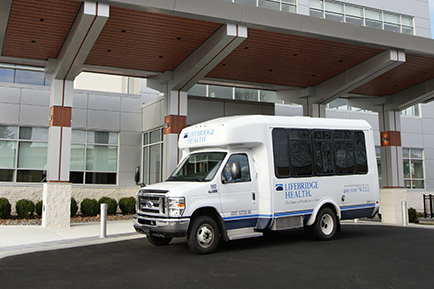 The Belvedere and Pikesville locations of the Levindale Adult Day Services program have merged to become LifeBridge Health Adult Day Services at the Harry & Jeanette Weinberg Center for Aging in Community, which is located across the street from Northwest Hospital. 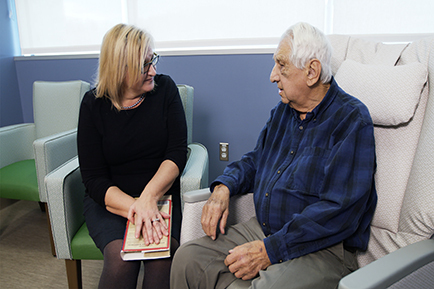 LifeBridge Health Adult Day Services are designed for individuals who are physically frail, have medical conditions such as diabetes, hypertension and post-stroke disabilities, and mental health problems such as dementia, confusion and Alzheimer's disease. 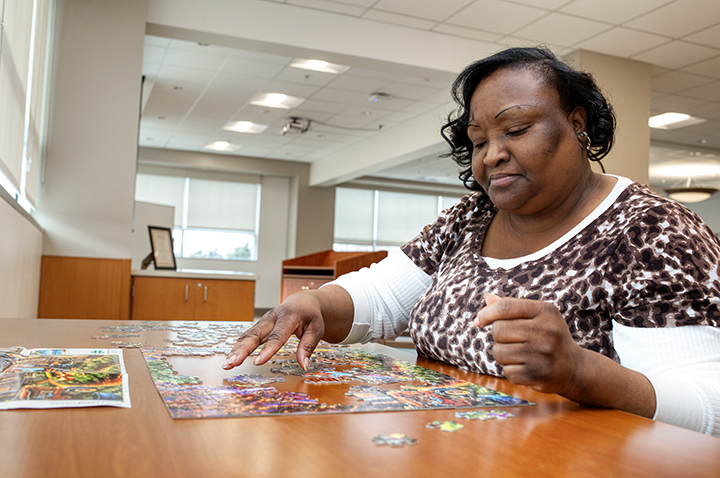 The center features a professional team of nurses, social workers, activity specialists and nursing assistants, and a variety of activities, recreation programs and more. 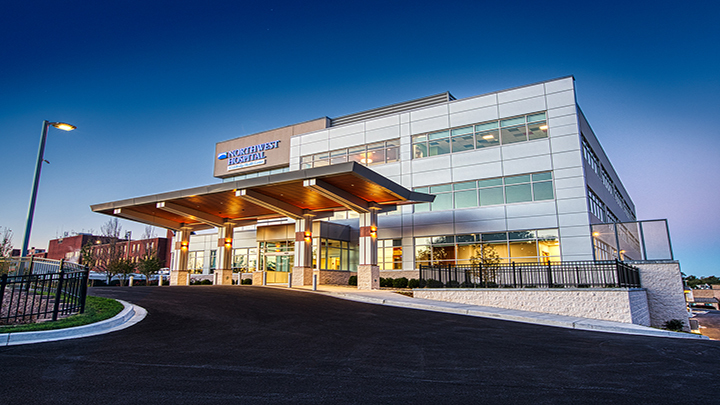 The brand-new facility has safe, secure indoor- and outdoor-seating areas, cozy common areas, activity rooms, and a state-of-the-art physical therapy gym. The center provides a stimulating and supportive environment with the comforts of home and necessary supervision. Join our family. 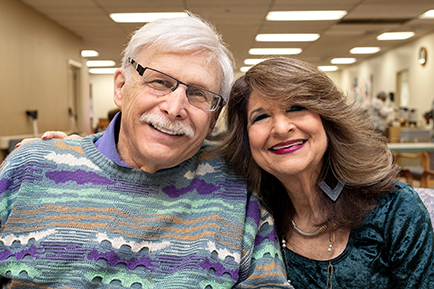 Clients can attend our comprehensive adult day services program all five days or any individual day. Costs are competitive and all-inclusive. Services may be reimbursed by medical assistance, and financial assistance is available for qualifying families. We are able to assist with the financial assistance application process. After completing this form, an adult day services social worker will be in contact to provide more information. A coordinated treatment plan is developed for each program participant. Nursing services, medical supervision, rehabilitation services and social services are available and can be coordinated for our clients. Special care is available for clients who have physical disabilities and mental impairments. 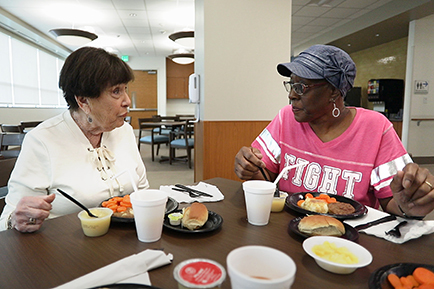 We provide daily activities for clients, such as arts and crafts, intergenerational programs, music, cooking classes, exercise sessions, movies, discussion groups, live entertainment, and trips into the community. 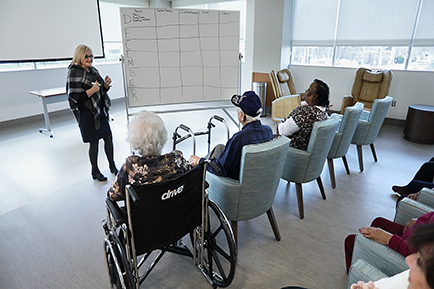 The activities program creates a stimulating and fun-filled environment that encourages friendships, and positively impacts our clients' quality of life. 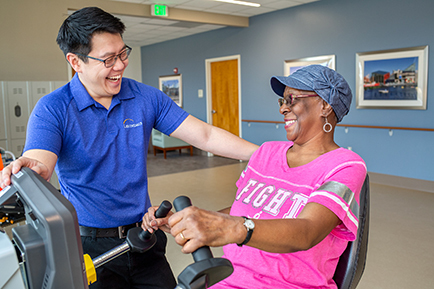 To ensure successful aging the experienced physical, occupational and speech therapists at Levindale Outpatient Rehabilitation offer their services at a convenient on-site gym to adult day service clients. Levindale Outpatient Rehabilitation provides individualized treatment tailored to the goals of clients, prescribed evidence-based exercise and leading-edge equipment. Nutritious, tasty, kosher meals are served daily including a light breakfast, hot lunch and afternoon snack. Special meals are prepared for holidays. Assistance with feeding is provided as needed, and special dietary requirements can be accommodated. Patsy Boyd is a caregiver for an aging parent and has used LifeBridge Health Adult Day Services for 5 years. Listen as Patsy shares her experience. 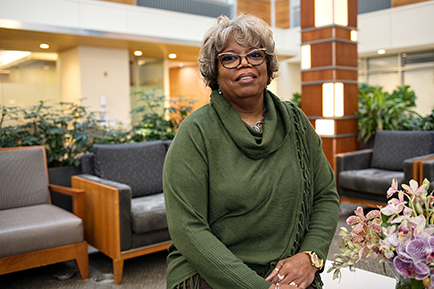 Reesa Luger is a caregiver for her husband and has used LifeBridge Health Adult Day Services for respite care for a year. Listen as Reesa discusses the care her husband receives. 5400 Old Court Center is conveniently located off of Liberty Road (MD Route 26) and only minutes from I-695.